The early settlers of Howey-in-the-Hills found wonderous natural beauty in the shade and shadows of mature oaks, pines and palms. At Mission Inn, we honor these founders with the historic El Campéon Course and its 85 feet of elevation changes - testing you like no other course in Florida. You will also note our dedication as you play through the wide-open fairways and gentle rolling hills of the Las Colinas Course. These two courses were designed with an appreciation of their natural environment. You revere it in the sparkle of the Florida sun on ever-present ponds and creeks and in the sight of an osprey soaring overhead. The El Campéon and Las Colinas courses settle right in to the Old-Florida landscape. These are no cookie-cutter courses. Only 35 minutes from downtown Orlando, the courses at Mission Inn have earned their share of accolades from Golf Digest to Zagat. 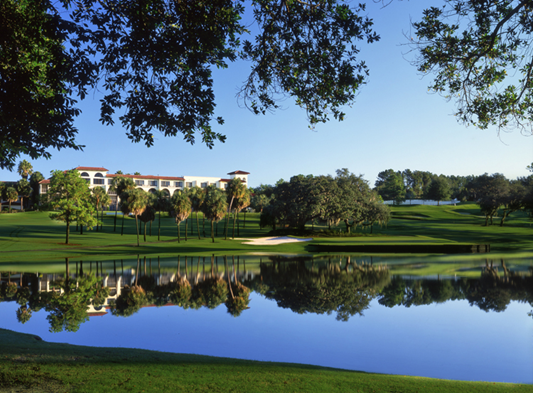 And so we support our Orlando golf enthusiasts with amenities that matter to you. Take advantage of our full practice facility, golf academies and pro shop; relax in our clubhouse lounge, restaurant or spa. We have a hospitable staff ready to host you and knowledgeable PGA professionals waiting to help lower your score. We also offer lodging, meeting services and endless activities on-property, including a marina on expansive Lake Harris. Mission Inn and Howey-in-the-Hills share a long, rich history. We sincerely hope you join us in the future of Mission Inn Golf. Our deluxe hotel rooms include a king or two double beds, work space and a screened balcony. These rooms feature king or two queen beds, work space and small sitting area with a couch and coffee table. Club suites offer either a screened balcony or bay window. Our one-bedroom suites feature a bedroom, with a screened patio, and a separate living room, which includes a wet bar. Mission Inn's two-bedroom executive suite features a bathroom and screened patio in each bedroom The suite also includes a separate living room with a wet bar. Our three-bedroom penthouse suite includes a screened balcony, kitchen, dining room, three bedrooms and two bathrooms. The Mission Santa Cruz (nightly rental) and the Mission Sonoma (weekly or monthly rental) neighborhoods are home to the resort's villas. These non-smoking two- and three- bedroom golf villas offer private entrances, full kitchens, and private screened balconies. Shuttle service to-and-from the villas to the resort's attractions is also available. Ranging from casual to candlelit, Mission Inn Resort's three restaurants provide guests with superb service, innovative entrees and plentiful portions. Accomplished chefs at the resort's award-winning restaurants prepare the freshest, highest-quality cuisine, from casual breakfast buffets to seafood extravaganzas. The resort's culinary team developed our menus and dishes to reflect their experiences in the finest kitchens around the world. In addition, the resort's Chef's Garden, grown on property, allows for dishes to be accented with the freshest spices and herbs. 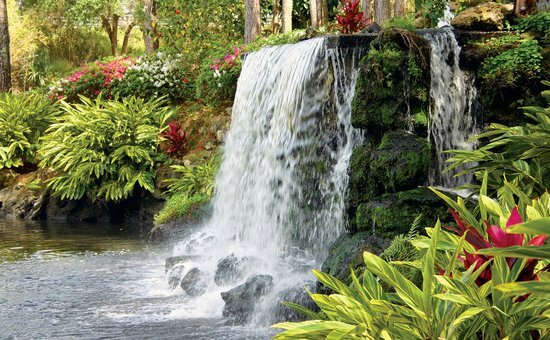 Whether you're local from Clermont, Leesburg or Tavares (or a world traveler), our quests start their day with majestic golf course views at La Hacienda for breakfast and our Sunday Champagne Brunch. For a casual lunch or dinner, try Nicker's Clubhouse Restaurant, home of our Saturday Night All You Can Eat Crab Legs, Sushi & Prime Rib Buffet. The perfect ending to any day can be found in the culinary delights of El Conquistador, overlooking the Plaza de la Fontana. The soft serenades in La Margarita Lounge are the perfect backdrop to lively conversations. 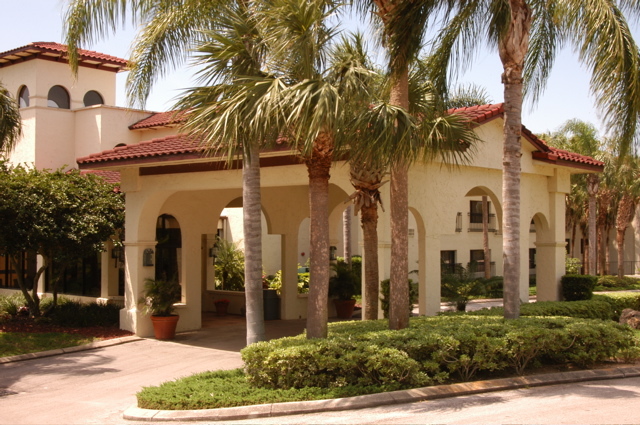 Mission Inn Resort & Club sprawls across the rolling hills of Lake County, equidistant from the Atlantic Ocean and Gulf of Mexico. 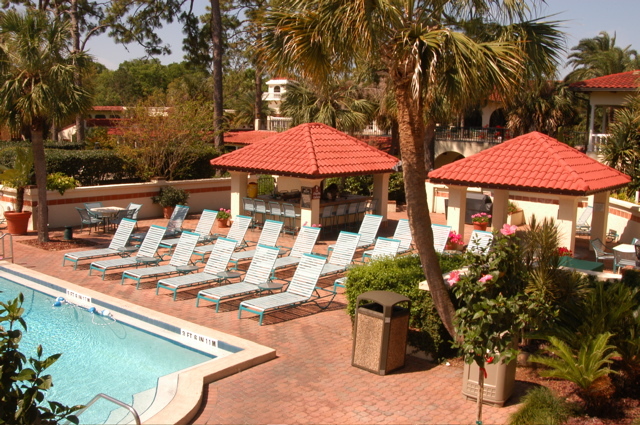 The resort is situated in Florida's central highlands just 35 minutes northwest of Orlando and provides easy access to and from major highways and interstates. 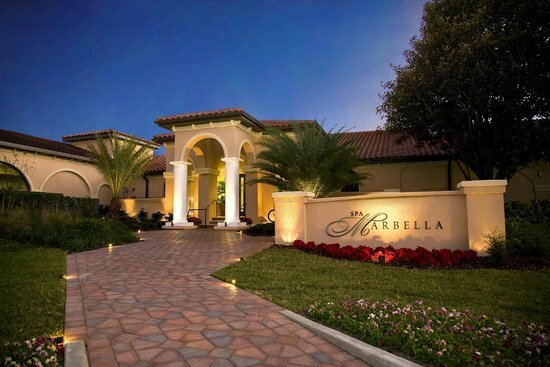 The resort is well known as one of Florida's premier golfing destinations, offering 36 holes of championship golf. The dramatic landscape provides unique tee-to-green elevations of more than 80 feet on both of the courses. Tennis players will enjoy the extensive tennis facilities and programs at Mission Hill, which includes eight courts and a knowledgeable team of instructors. The climate is temperate enough to play outdoor tennis year round and the courses are also lighted for evening play. Mission Inn Resort & Club also offers a luxurious full-service spa and several unique dining options.